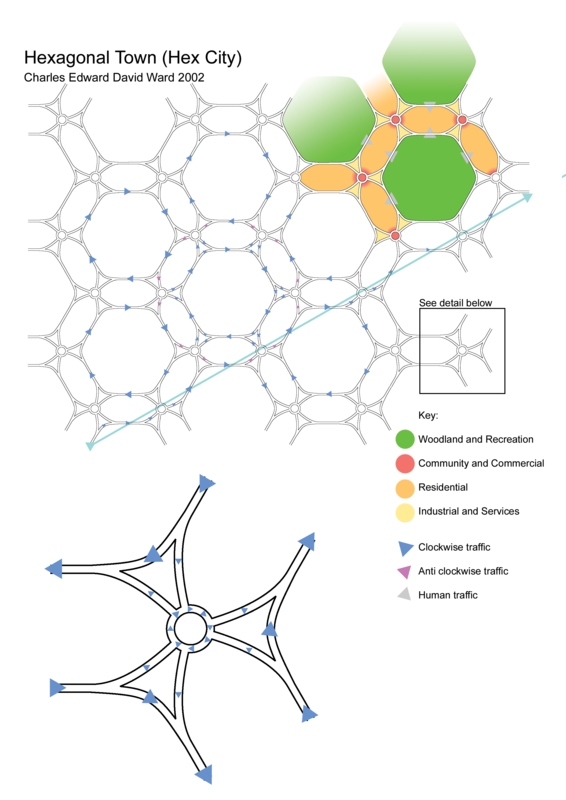 Combining the grid plan (typical of New York) with a radial system (typical of Paris), Hex City is a network of large hexagonal zones outlined by arterial roads. A single hexagon is basically a hexagonal area of land designated as woodland and recreational land. A one-way elevated arterial road, with two or more lanes, runs clockwise along the perimeter of the land. There are several pedestrian subways (or underpass) to cross the main road into the neighboring land. The adjoining hexagonal zone is NOT directly adjacent to the land thus creating a belt of land that sits between two designated woodland and recreational zones. 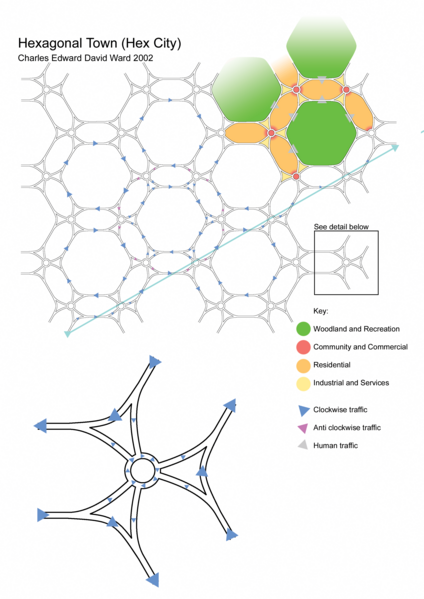 This belt, which surrounds the hexagonal area (when all sides have a neighboring hexagon) is designated urban land. The point where three hexagons meet is referred to here as a node. This area becomes a focal point for the community, commerce, services and transport. 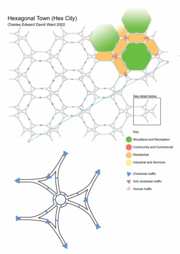 The full plans contain visual representation of the main ideas behind Hex City. Other images are also included amongst these pages highlighting other aspects of the design.